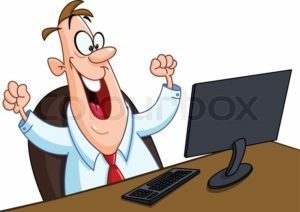 Home 2018 August 18 Blog Support Trump’s attack on internet censorship! 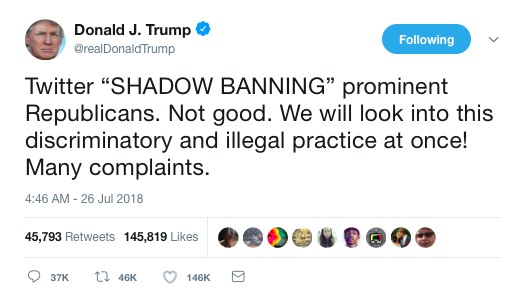 President Trump fired his opening shots today (see below) against a rampaging anti-whitism that’s been shutting down voices that are weak in their support of White Genocide! Anti-whites‘ program of worldwide White Genocide depends on denying free speech to pro-whites who oppose White Genocide. (To access that tweet, click on the statement that precedes it). Help us drive the phrases “anti-white” and “White Genocide” deeper into the mainstream! Yeah, anti-whites, it’s called FREE SPEECH! The thing you dread most! If Trump backs up his “cannot be allowed to happen,” this will be huge. Get involved and help it be hugely pro-free speech! Wuntz, old buddy, when are you going to learn that people who read websites don’t actually DO anything? Almost 150 views of this article, and one retweet. “Retweet the tweet of the week” is too corny an idea for today’s irony-soaked young sophisticates. And I can’t help you, buddy, because twitter doesn’t like me. Ah yes. The iron fist of irony is going to smash White Genocide. “Corny” is corny today, Charles. For readers not familiar with the present wave of censorship of voices on the right, this 15-minute video from The Red Elephants gives an account of it. Good on Bill Maher — the reaction of his audience is pathetic. 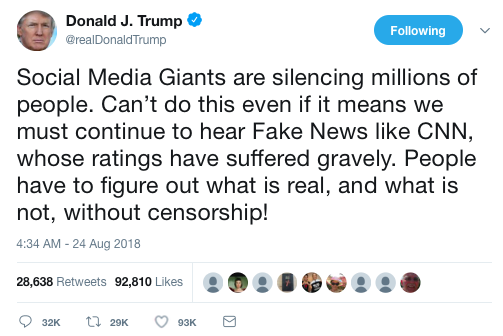 Many commenters are doubting that Trump will actually do anything, but with the midterms approaching and Republican and Conservative voices being censored, I don’t think he will let things remain as they are. Hopefully something firm will be put in place that at least implicitly includes pro-whites under its protection. If all that happens is that Trump beats up on the censors until they back off on Republicans and Conservatives, that will leave us screwed. No way is Trump, at that point, going to say, “And you forgot the pro-whites.” Something hard has to be laid down in the beginning that can only be interpreted as also including us. Btw, the term “White Genocide” has almost been removed from my google alerts on the term, compared to what it was before, even though it continues to appear regularly in mainstream articles. Wow. Have you ever read anything so hateful as that? No wonder anti-whites are upset. I’m not aware that he’s done anything at all in the 6 and 1/2 months since to even try to block social media’s continuing heavy censorship. Which turned out to be his last shots.